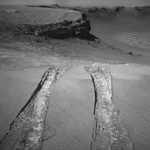 Having spent a little less than a year studying the exposed rock layers in Victoria Crater (background), the Mars rover Opportunity recently climbed out and took a look back in this picture. The rover, along with its twin, Spirit, have been on the Red planet for 4 and a half years. As pointed out by Paul Gilster, on Friday the robotic spacecraft Rosetta maneuvered past the asteroid Šteins, which served as a reference point for mission control as the craft ventured into the asteroid belt located between the orbits of Mars and Jupiter. Rosetta is on its way to comet 67/P Churyumov-Gerasimenko. Beginning in 2014, it will be the first craft to undertake the long term exploration of a comet at close quarters, and will deliver a lander, called Philae (this image has been my Macbook desktop for a while now), to the comet's surface. For the next year as the comet hurtles sunward and the lander does its work, Rosetta will orbit both bodies and return science to Earth. Why land on a comet? Cometary formation is coincidental with the development of our solar system, estimated at 4.6 billion years old. The spacecraft will provide scientists with a view to an epoch when no planets existed and only a vast swarm of asteroids and comets surrounded our star. Pictures from the Steins' flyby will be streamed beginning Sept. 6. 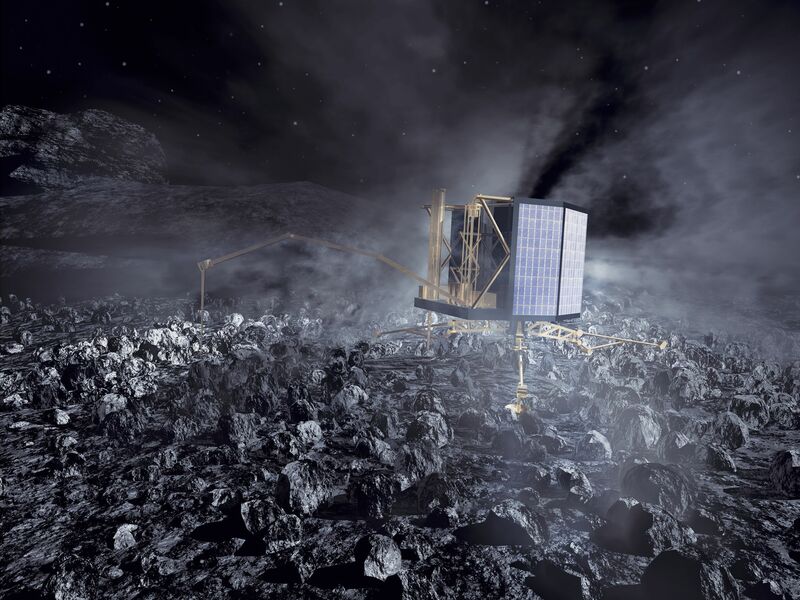 The newly-created Rosetta blog is here. I really enjoy this blog, I am a novice to these things, but I check back every week for brand new articles. I love this blog and the information you provide, thanks!